Firstly, what are superfoods? And will I turn into Superman if I eat them? All it is, is a marketing term for a food that’s very nutrient dense. So from an athletic perspective, yes you will turn into Superman. But what about from a regular person perspective? Someone who doesn’t go to the gym and whose interest in health just sparked a couple days ago? Today’s the day I tell you: Screw Exercise! Eat Superfoods! Did you know avocados are fruits? Neither did I! Packed will literally every vitamin in the alphabet (K,C,B,E) along with tons of potassium, fiber, healthy fats and antioxidants...it’s a gold mine! Also, did I mention guacamole??? If you hate the taste like I do, throw some onions, peppers, olive oil and spices in there and you got yourself a dip. Next stop guacamole, all aboard! This next one is new and I just recently introduced it into my diet. Plants are the last place you’d expect milk to come from, yet this amazing invention exists. Strictly from a taste perspective (which is probably the only reason you’re here) it tastes great! Without exaggerating, better than regular milk. I mean that. 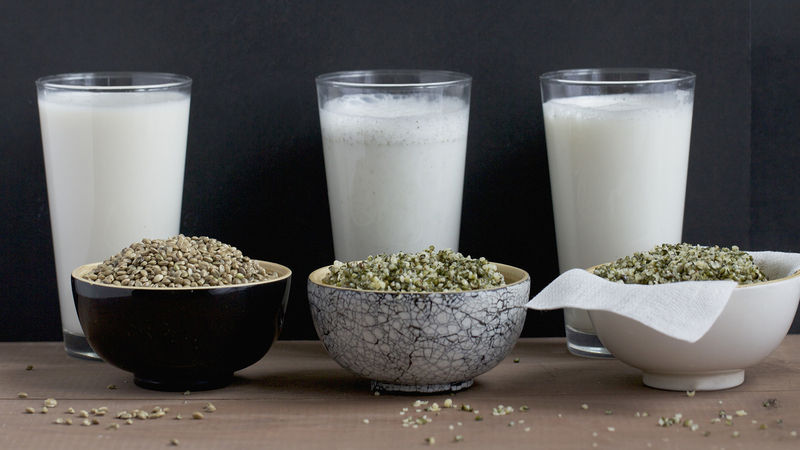 Lizzie Streit from Healthline writes, “Hemp milk is fortified with calcium, phosphorous and Vitamins A, B and D”….but it also contains essential fats that your body needs and of course, protein for muscle recovery! What’s even more amazing is that it can help promote skin health and protect against heart disease thanks to those amino acids and healthy omega fats. But to make this even more unbelievable, hemp milk is naturally free of soy, lactose and gluten. Mind-blowing right? So what are you waiting for?! Plan a trip to Whole Foods and get some hemp milk. To be fair, any kind of spice can be considered a superfood but this one’s powers may just make you a little suspicious. I know I was. Considered the Golden Child of spices, this superfood will blow your socks off. Equipped with everything from lowering heart disease and preventing cancer to aiding against depression and even delaying aging…it’s hard to believe this one even exists. What shocked me even more was it’s potential to treat Alzheimers! Well the beautiful thing about spices is that there’s so many of them! So if turmeric isn’t your cup of tea, there’s plenty of fish left in the ocean. So on your way to Whole Foods, stop by the spice section, grab a cart and go to town! The more articles I write, the more I become aware of the importance of my dream. Knowledge is power as they say, but sharing your knowledge is changing lives. That is my goal and my dream. So this holiday season let’s share a bit. Share to everyone, anyone. Share to your barber who might have a depressed brother or sister or to your teacher whose suffering from heart disease. Health is the most important thing in life and we need to let others know that.